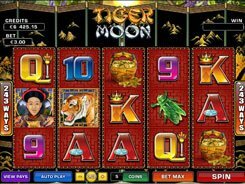 This is a 5-reel 15-payline video slot based on an Oriental theme. The symbols include different sky lanterns, Oriental patterns and playing card icons with a themed twist to them. 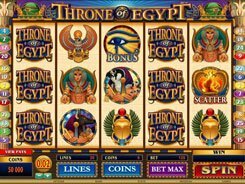 You can place 1 to 5 coins per line and adjust a coin value from $0.01 to $1, therefore a total bet ranges from $0.15 to $75 with all lines activated. 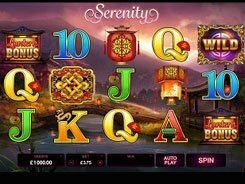 Featuring a wild, a scatter, the Lantern Bonus and free spins, the slot offers a fixed jackpot worth $37,500. 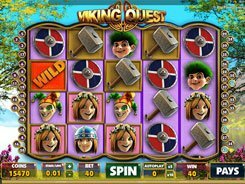 Three or more scatters trigger 10 free spins at a x3 multiplier. 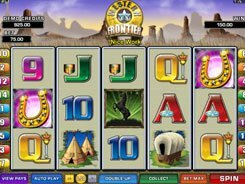 Free spins can be activated again from within the feature. In the Lantern Bonus you will be presented with a selection of lanterns to pick from, with each revealing a certain multiplier applied to your total bet. Overall, in the Lantern Bonus you can grab a win of x500 times your original stake in the triggering round. 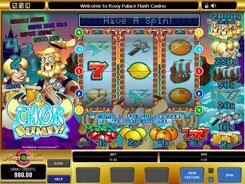 Having fairly simple rules and not many special features, the slot will appeal to beginners who want to practice different playing strategies. PLAY FOR REAL MONEY!